Road Trip, Beliefs, Snacking and Thinking Out Loud! Mortals come and go, but nature remains. In all ramifications Nigeria is beautiful! And her Natural sites are stuck in between fun and beliefs. “Tradition and beliefs” have served as a powerful heuristic term of most tourist places in Nigeria. At Ado Waye Mountain where the beautiful and tranquil Iyake Lake sits beautifully like a baby in her swing“, my joy is popping out white like a corn into white petals. This is an amazing beauty! The tree is reflected and mirrored symmetrically. In between all these- I am still a cultural idiot. The tour guide believed the lake is bottomless and spiritual. That’s custom!. The same thing was said of Owu waterfalls, the louder you scream, the more it pours. That’s science! Each time a tour guide explains and gives details about places we have visited, every syllable fall on my ears like the sound of a school bell. Very sharp! From the havens of magical Idanre hills on the southwestern Nigeria to the magnificent Kajuru hills in Kaduna North central Nigeria, I can repeatedly say Nigeria is beautiful. Road trips in Nigeria have something peculiar- the road hawkers. Somehow somewhere before I was born some people in Nigeria must have agreed that loaves of bread should be a traveler’s souvenir. So Buy bread! First we don’t understand something, then it becomes a mystery and what next? We worship it? Some Mysteries should be solved or have reasonable explanations. Nigerian tourism this year had a fair share; thanks to social media. Who knew the word “Borno” could also sit with “Tranquility”. Jaffy waterfalls in Borno are one of those natural places where you can be at peace with your soul. On our trip to Oyo we stopped to refuel, the little hawkers rowdily harassed us with all sort of wares. The word Akara drop into my oily ears and sunk deep.I turned to see who hawks Akara in the middle of this hot sun and behold this little girl. As a street photographer, the picture of a girl hawking in a wild street is confusing- gorgeous yet discomforting. 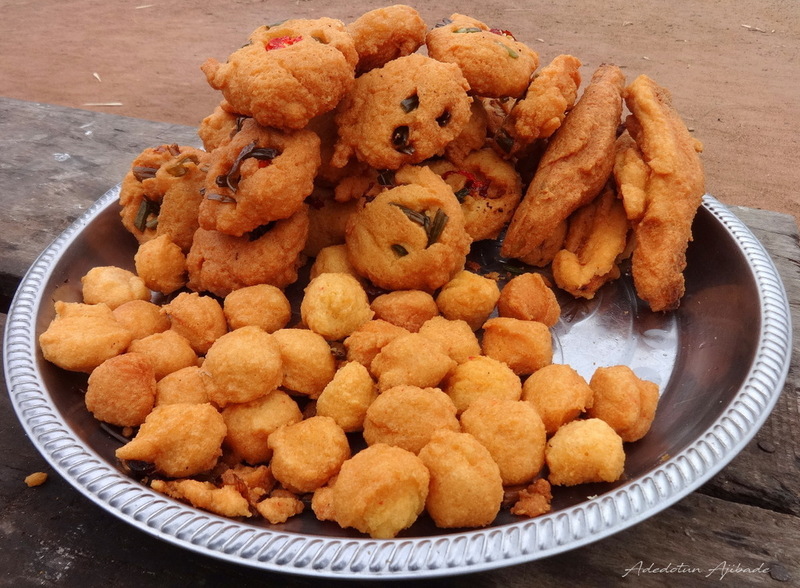 The Akara on her tray doesn’t look soft, in Yemisi Aribisala words- The word akara in itself should be soft, selectively broken on the back of that letter k, this didn’t fit that descriptions it looked more like the flat kuli kuli you find around Niger state. My curiosity and taste bud wanted a taste. I bought some. Aki nuka or Abacha you find in the East are like the Debinos and Sugarcane you see along Mokwa in Niger Northern Nigeria. 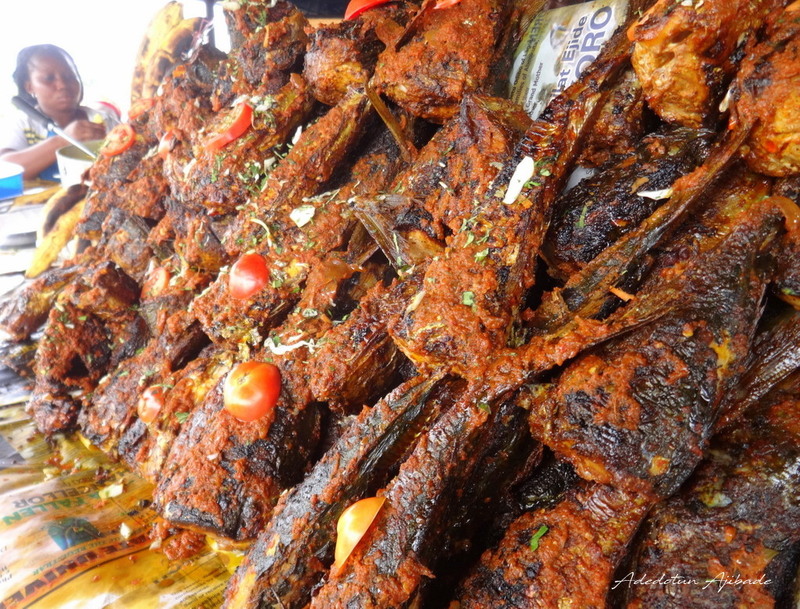 The Wara and Asala (African Walnuts) you find along southwest Nigeria leaves the southwest experience on your taste bud. Food is the most primitive form of relaxation. You feed yourself with more than just food when you travel. Travel more!